This 3 piece nesting set of soil scoops has screens. The screened version sifts out finer dust than the 6103 sieve set. 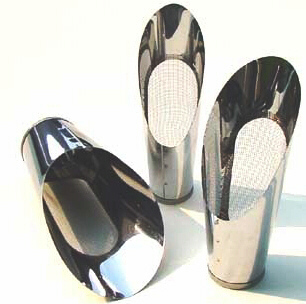 Scoops are made of polished stainless steel. 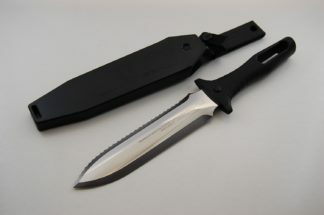 Dimensions: They are all about 14cm long with base dimensions of 3.5cm, 4cm and 5cm.